The engagement ring is an incredibly powerful symbol. You could travel the world, and each place you land you would learn that the engagement ring is deep seeded into society, culture, and religion. The gifting of an object of value from the groom to his bride or from one family to another is an ancient practice that legitimizes the union of man and wife. Marriage is a strong and righteous path to god. The wedding ring doesn’t just symbolize the promise to your husband or wife. It also represents a promise to your friends, family, and deity. Thus, delicate engagement rings represent this spirit better than any other style. These are all things you need to know before you can even think of picking out your perfect style of. It’s an accessory. It’s a message. It’s a promise. It’s a tradition. It’s so much! No worries though, we’re here to help. Click through and we’ll tell you everything you need to know about engagement rings. Moreover, we will help you identify what you really care about and how to choose your powerful symbol. Because history plays such a major role in today’s best engagement rings, it’s only natural that different countries have different tastes. Although princess-style diamond rings are a universal favorite, you’ll find that different people have a slightly different approach to perfection. You may be a patriot, or you may want to pay homage to your family tree. Either way, it pays to know how the world creates. America is the youngest of the countries we’re looking at. The rapid availability of technology and widespread trade has led to miracles in business, technology, medicine, and the arts. And the engagement ring is no exception. Eclectic inspiration which can only exist on one place on earth. “The sun never sets on the British Empire” is a sentiment that’s lived in the hearts of our friends across the pond for ages. The royal heritage of this country spawned our idea of the perfect princess wedding and happily ever after. This pedigree creates some of the world’s most elegant engagement rings. The origin of the honeymoon – a 30-day period of drinking honey wine each night after getting married – and a tradition of “buying the bride”. A history of wedding rings has evolved into beautifully intricate pieces of art. Flip through any art or architecture history book and you’re sure to see Germany playing a prominent role. Germany continues its traditions with engagement rings, finding the perfect marriage of calculated perfection and boundary-pushing creativity. What is the best engagement ring for you? Think about all of the promises we mentioned earlier. How do you want to express that promise? 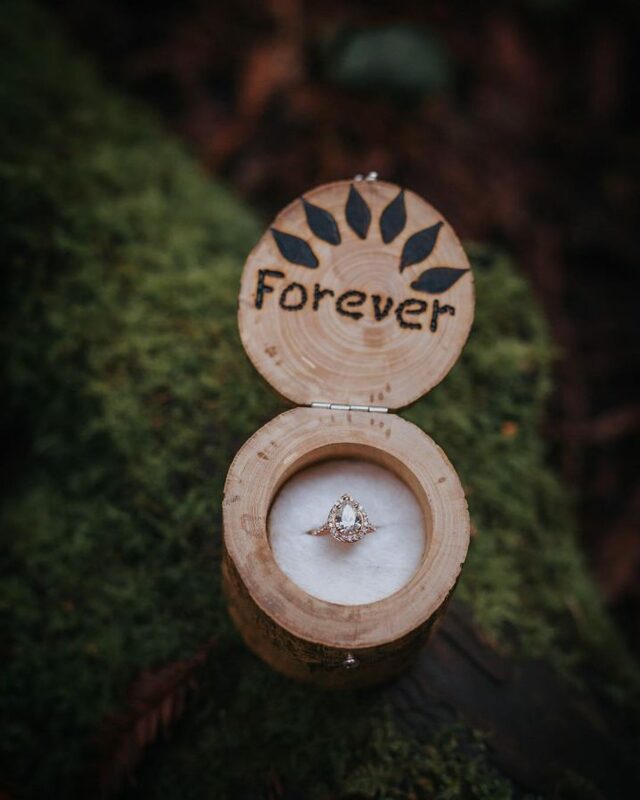 What do you want your ring to say? 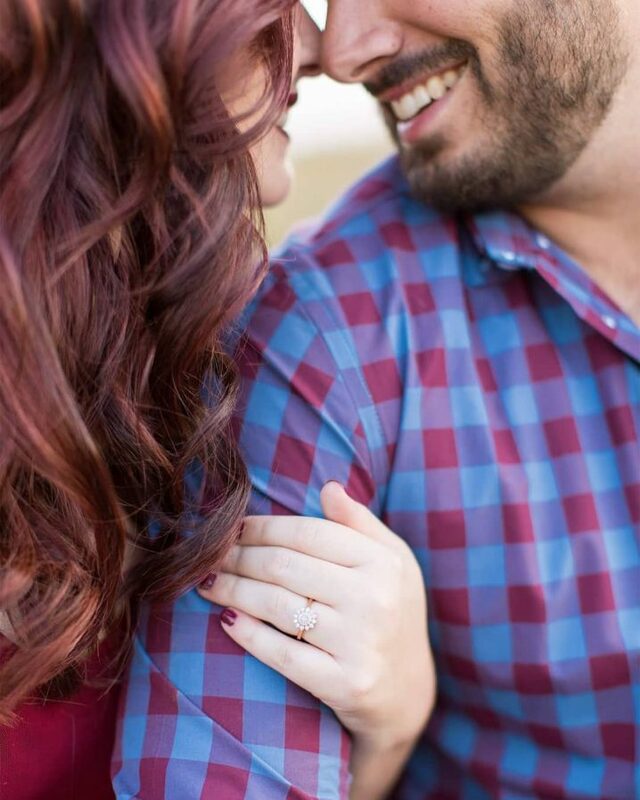 Asking all the right questions and finding out what an engagement ring really means is a great first step. You’ve figured out what you want the ring to say. The final piece to the process is deciding how you want the ring to express it. Your ring has to look the part, and it has to suit your particular style. Even though you’ve decided on a subtle engagement ring, there’s still an assortment of shapes, cuts, and colors to choose from. Each of these choices can make a drastic change to the overall appearance and how it sits on your finger. 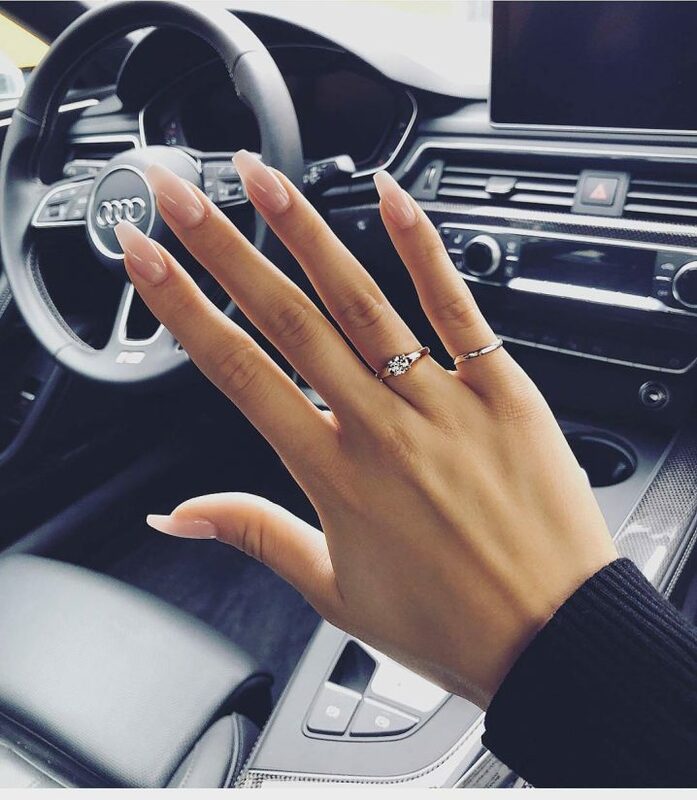 A darker slender finger certainly holds a beautiful ring differently from a fuller paler hand. Once you’ve made a firm decision on the metal, stone shape, number of stones, and color combination, the rest is a completely personal choice. The beauty of simple engagement rings lays in their subtlety. Slight variations in shapes and cuts can make a world of difference if you look closely enough. These unique styles all have something unique to offer. Modern style applied to classic shapes and colors are what to expect from lunar rings. This new-to-market style is for brides who want to drop jaws and make a statement. Elegance goes hand-in-hand with classic diamond rings. A solitaire stone is the traditional choice, but engagement rings can still pull off that delicate look embellished with side stones. A unique design idea that doesn’t stray from tradition. Keep the spirit of tradition alive with classic shapes and cuts. But make the design your own the unique color combinations of yellow sapphire rings. Opal rings are sure to turn heads. The visual qualities of this gem stone aren’t exactly traditional, but they sure are stunning. Trendsetters are highly recommended to consider this stone. Princess-style diamond rings are the quintessential engagement style. If you’ve been dreaming of a giant church wedding and happily ever after, the princess-style is the look for you. Beyond the historical and geographical differences between all of your options, it has to look beautiful. Blending into your natural beauty is a given for any girl who prefers a delicate ring. However, some styles do a better job than others depending on the girl. Therefore, try on each style to see how it sits on your finger. There’s a perfect balance between shining on its own and making you shine.